It’s part of a program called Trout in the Classroom, overseen by Pennsylvania’s Fish and Boat Commission, and there are about 250 groups around the state participating this school year. The idea is to connect what happens in the classroom to how the native trout—the state fish—behave in the wild, and to get kids outdoors and connected with nature. In some programs, students are introduced to fishing. But for Todd’s class, Trout in the Classroom is more of a science lesson. 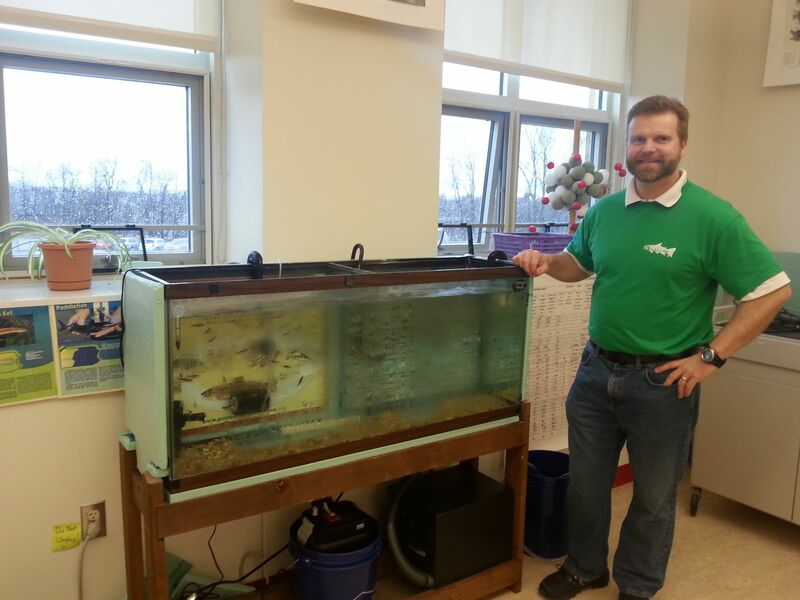 Todd says the classroom tank set-up is meant to mimic the conditions the Brook trout will face in nature. He pulls out a plastic purple basket, and submerges it into the top of the tank like a deep fryer basket. "We developed this egg basket here, and we also simulated the natural nest, called the red, in the gravel in the bottom. They started in November with about 270 brook trout eggs from a Fish and Boat Commission hatchery. Ten students took turns feeding pellets to the young trout, changing the tank’s water, and measuring pH levels. Teenagers don’t usually sign up for chores, but Todd says this was different. "They’re eager to sign up on the calendar..It’s been great to see the enthusiasm on the student’s part. Anytime you can see that as a teacher, that’s wonderful." 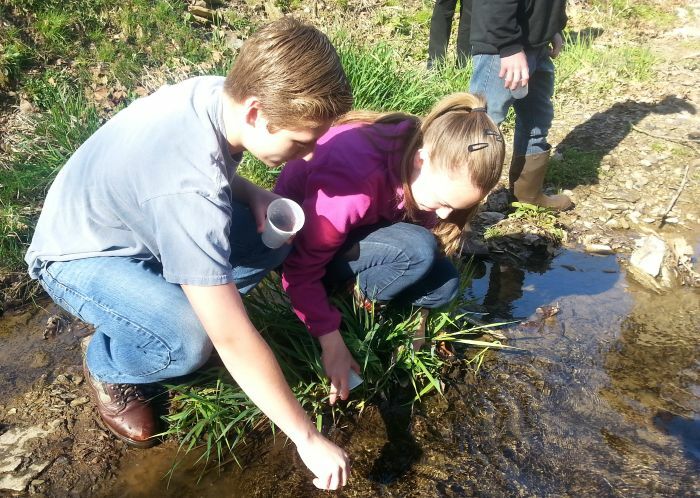 Once the trout reach a couple of inches, students release them into local streams. Brook trout have disappeared in many Pennsylvania waterways because of pollution from the mining and logging industries, or sediment in water from development. While the goal of the program is not to restock the waters with fish that will reproduce and repopulate, some students and watershed groups are hopeful. On a cool spring morning, Sean Brady helps Frank Todd’s class release their fingerling trout into a nearby stream—Meeks Run. Brady’s with the local Hollow Oak Land Trust. 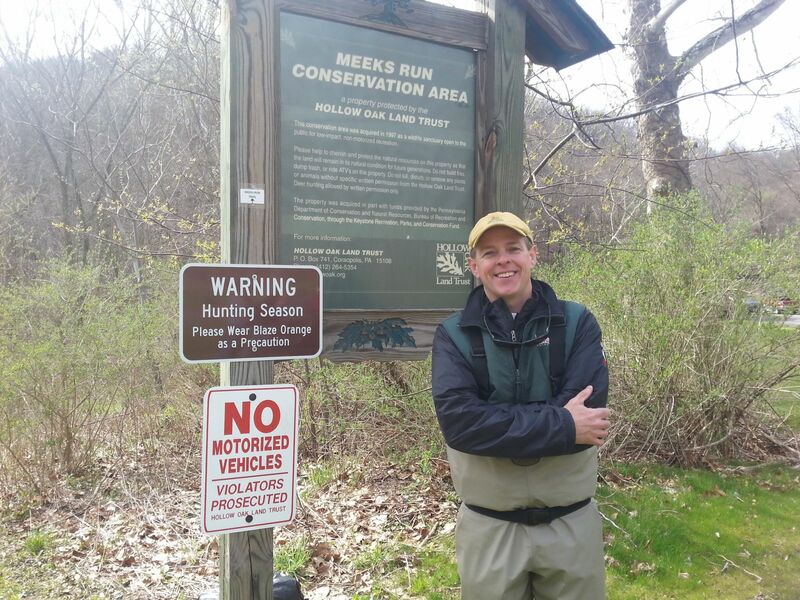 "If Brook trout can re-establish their population here in Meeks Run, that would change the landscape here, in Allegheny County in terms of what’s possible for habitat restoration. The stream here is shaded by trees, and the same trees filter rainwater runoff. Students dip thermometers into the orange plastic buckets they’ve used to transport the fish here. They're making sure the young trout can sustain the temperature difference between the stream and their tank's water. They scoop the small fish into clear plastic cups with ladles. And then it’s time to release the fingerling trout. Brady says they’ll adapt quickly, looking for shelter and searching for food. Only about 1 to 2 percent of Brook trout naturally survive to adulthood. Student Audrey Migitsch says it’s a little sad. "It’s like our babies, and now we have to let them go, and we don’t know if they’re going to survive or not, ‘cause they’re so small." But for teacher Frank Todd, a little heartache is worth the lesson. "What they are able to do in the classroom and what they learn can extend into the community. This is where they live. And things that happen in the community have an impact on a living creature that’s here." At the students’ request, he’ll still keep a few in the classroom a little while longer, and then he’ll release them into this stream, too.